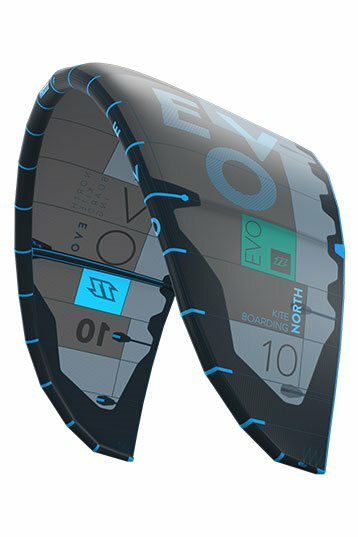 The Evo is quiet possibly the most versatile kite in the North range; a crossover kite that performs as well in the surf as it does for unhooking and throwing the latest new-school tricks. Smooth, predictable power delivery and steady C-like bar feel invite you to unhook and push your new-school moves to the next level, throw massive kite loops or boost big airs. The Evo also offers excellent depower ability and quick, predictable turning and drift ideal for the more surf-minded kiters. Whatever the day brings, you will always be prepared to take advantage of the conditions. Whether you´re into stomping freestyle tricks, shredding waves, jumping, cruising or all of the above, the Evo´s got you covered! We have tested the Evo, Fuse and Neo at the same time. 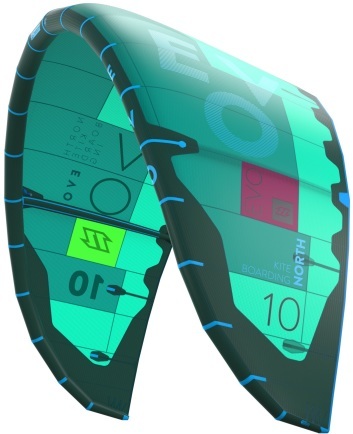 We found that the Evo is a more user friendly kite compared to the Neo, which has a specific character. In comparison to the North Fuse, the Evo is completely different in flight character. The Evo specifically has more bar pressure and a smaller turning circle (center turn). The Evo’s qualities are most suited to beginners, since it gives a solid amount of feedback and stability and has a gradual power buildup. This should really give a beginner some confidence! The Evo’s wave characteristics have changed a bit in 2012. It now provides a more constant pull when compared to the 2011 version, since it now placed more deeply in the wind window. This enables you to fly it smaller. Also, its drift during a wave ride has been improved. On the other hand however, the Evo’s lift has been reduced. 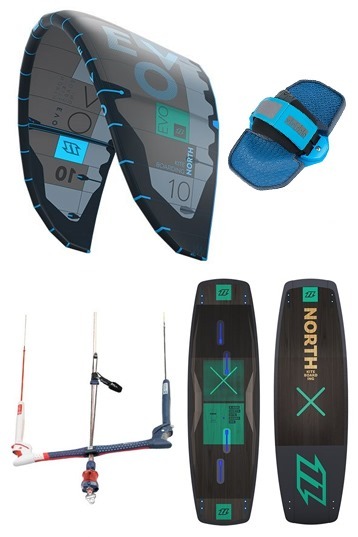 If you desire a wave kite with more lift and an old school floating performance, the North Fuse might also be an option! I ride the North Evo for many years now. Great kite with every year a different feeling. 2011 Evo 7m was great for the waves. Good low-end, fast turning great drift. I tried this year evo just two days ago and I didn't liked it so much in the waves. Missed the fastness, feedback and depowered steering control. It looks like the new Evo changed to a allround starters kite. Think I will go for the Fuse 2012, wave and hangtime. Great for strapless! I love my Evos as I can ride nearly every conditions with just a 7 and a 9 sqm. No matter how gusty, the Evo is super stable, always predictable and just a good friend in any conditions. Especially in waves it drifts nice, turns quick and is always completely predictable.